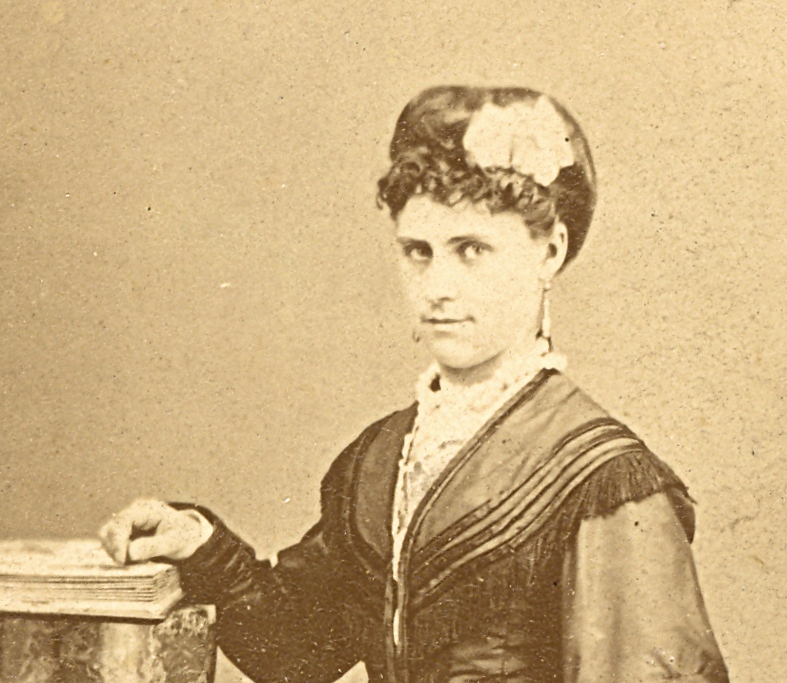 Agnes Annie Howard was born in St Albans in 1853, and married Benjamin Freeman McLean in St Albans in 1884. 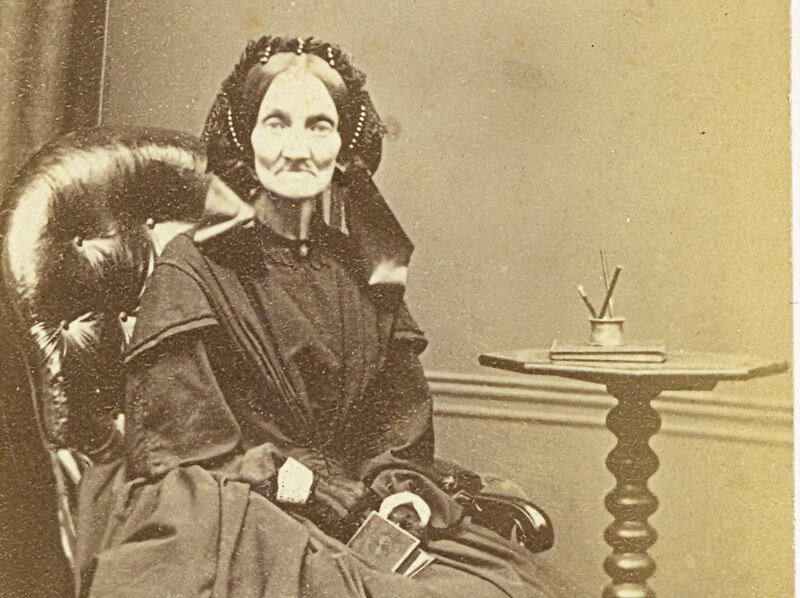 She died in 1885. 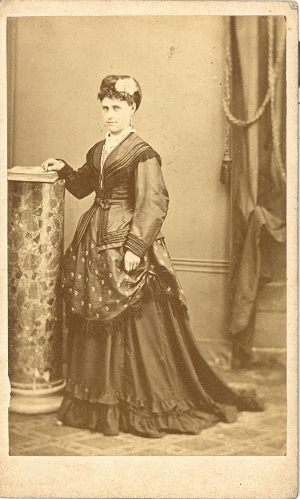 She was the daughter of James Sparkes Howard & Fanny Harris. 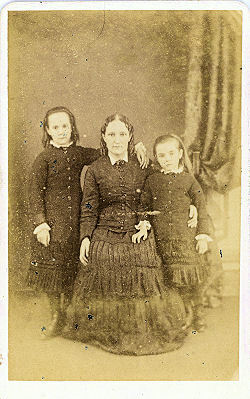 In 1881 the family was living in Verulam Road, James being a "Coal Agent" and Agnes was a "Governess". 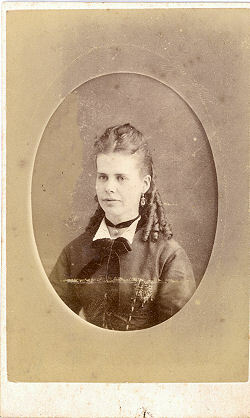 Photo probably taken between 1875 and 1884. 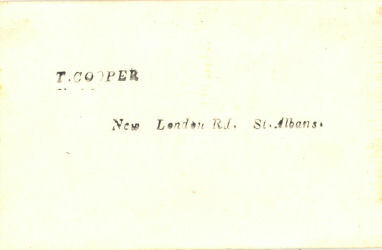 Thomas was born in Hertford in about 1836, the son of Edward & Rebecca Cooper and in the 1841 census Thomas was with his parents at Gower Mews, St Giles in the Fields, Finsbury. 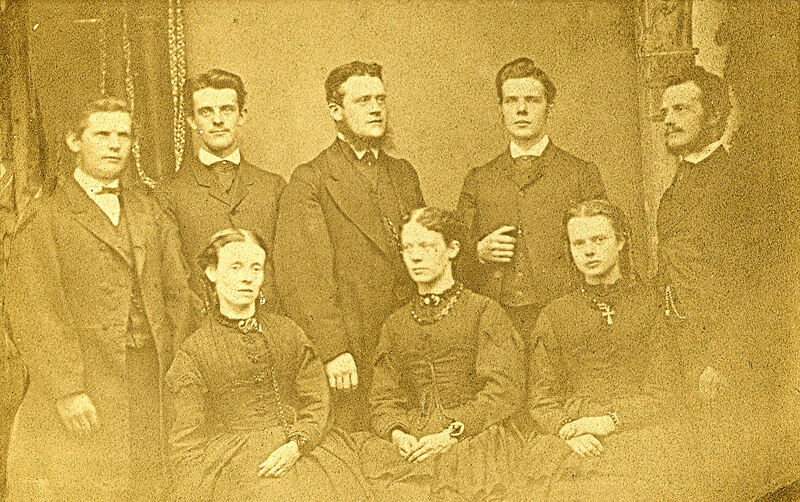 His father, who was a coachman but had died before the 1851 census, when the widowed Rebecca, 14 year old Thomas and 9 year old sister Sarah were at St Andrews Street, Hertford. 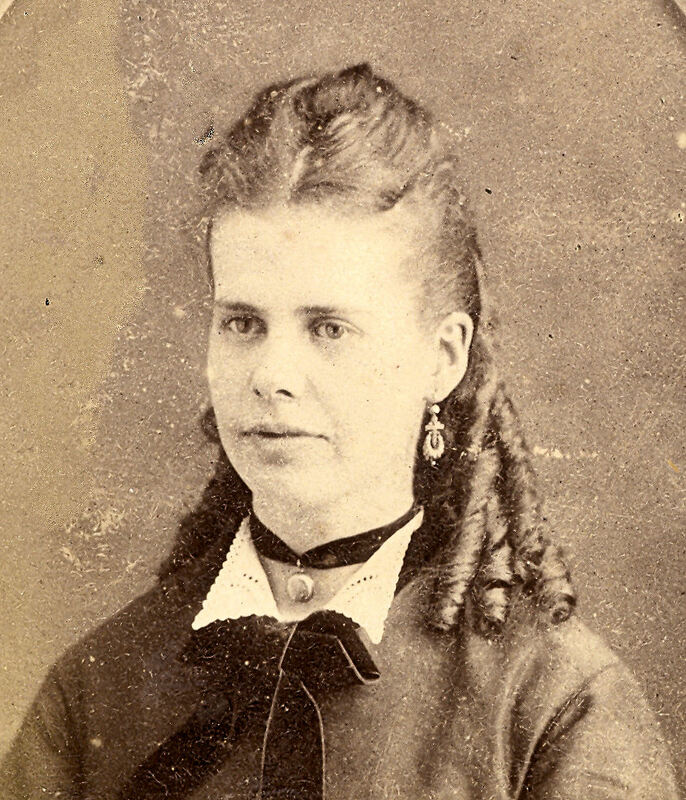 No occupation was given to Rebecca and Thomas was recorded as a grocer. By 1861 they had moved to Port Vale, Bengo, Hertford, and no occupation were given. 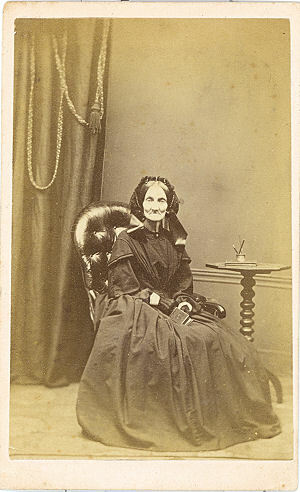 In 1862 Thomas Milburn Cooper married Eliza Theresa Carter in the Hertford area where their first two children were born. 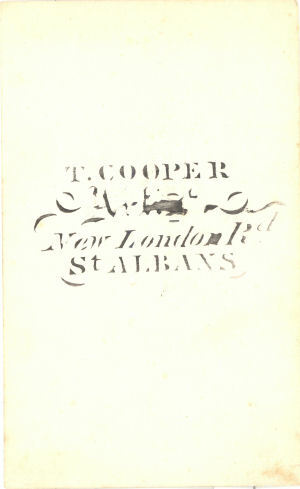 The couple had moved to St Albans by 1865, when Thomas Edward Milburn Cooper was born early in 1865, followed two years later by Alice Theresa L Cooper. 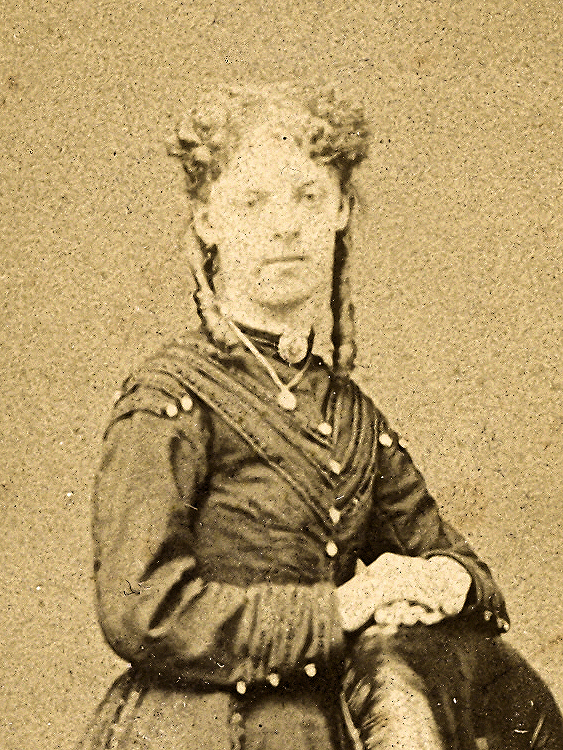 However Eliza Theresa Agnes Cooper died in 1869. 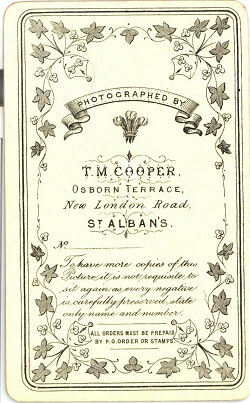 I have not checked the relevant registration certificates, etc., to see when he changed his occupation but in 1871 he was "Photo Artist" living in New London Road, St Albans. 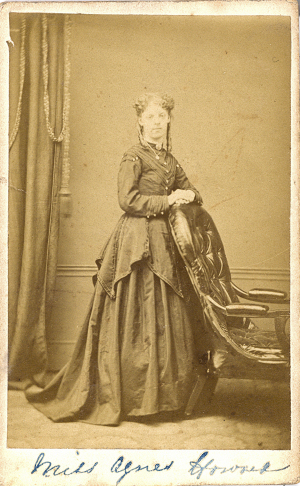 Within months of the census he had remarried in St Albans, his new wife being Catherine Dalley, daughter of George Dalley, an ostler living in Lattimore Road, St Albans. 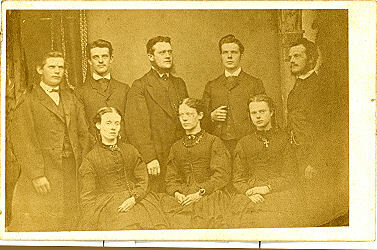 He was listed as Thomas Melvin Cooper, photographer, living in London Road between 1878 and 1890, and in the 1881 census he was described as a photographer artist with two of his children, Agnes and Thomas Edward Milburn being assistants, At this stage he had 10 children, 4 by the first marriage and 6 by the second - but disaster struck in 1883. 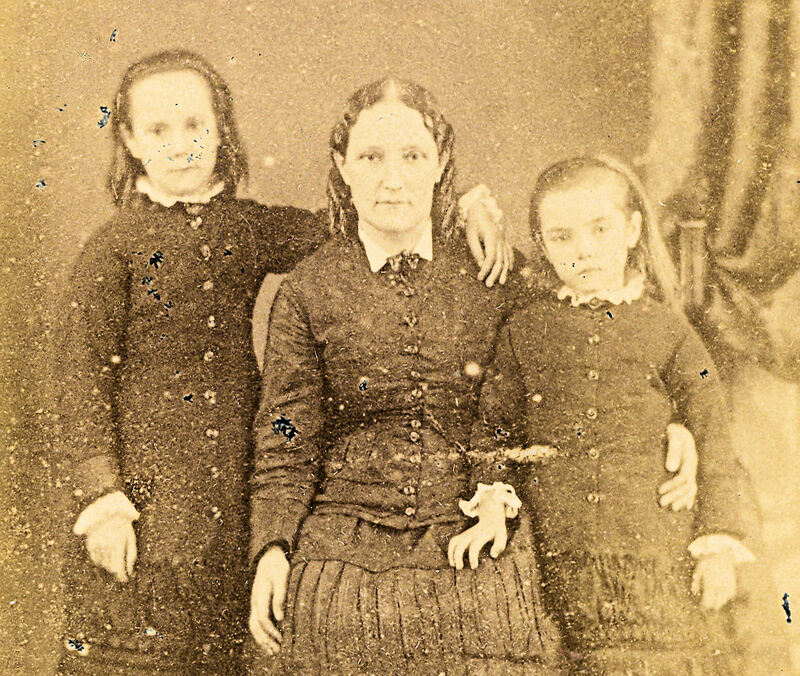 Ada Catherine M (11) died in March with baby Thomas Wallace M (4) dying a fortnight later and Anne Maria Louise (8) following in October. 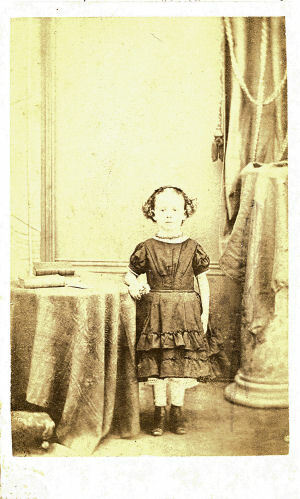 In 1891 he was still at London Road, as an "artist photographer" with his son Arthur (16) being described as a shop assistant. Thomas Melbourne Cooper (the first time I have found this spelling of his middle name) died shortly before the census in 1901. 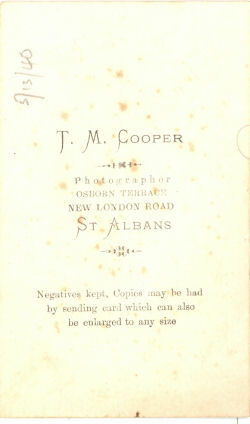 In 1901 his widow and five children were at 99 London Road, with Arthur M Cooper being described as a "photographer (animated)". NEGATIVES KEPT, COPIES CAN ALWAYS BE HAD. 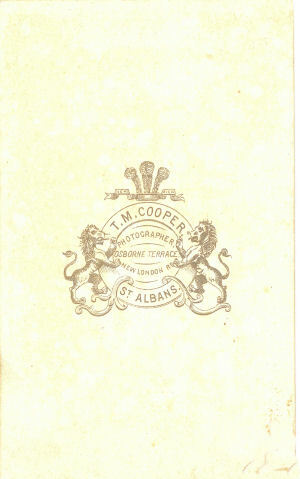 Thomas's son Arthur Melbourne-Cooper, became a pioneering film maker, and set up the Alpha Trading Company, who may have reprinted some of his views as postcards in about 1904.